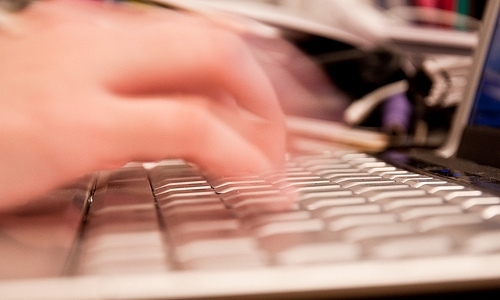 A company blog is an integral part of any social media and content marketing strategy. However, finding the right person to write your company blog can be challenging. A best case scenario would be to have an existing employee who knows your company and can write amazing blog content. Unfortunately, that person isn’t always easy to find. Blogging is a skill that is very different from other forms of writing. Hiring an experienced blogger, either as a freelancer or an employee, can help turn your company blog into an effective brand building tool. Here are 20 websites to help you find a company blogger who can take your blog to a higher level. There are many websites and blogs that are targeted to bloggers and writers. Some of these sites offer ways for employers to publish open job postings. 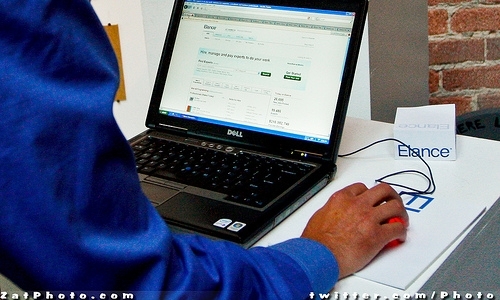 The following sites are a great place to start your search for a company blogger. 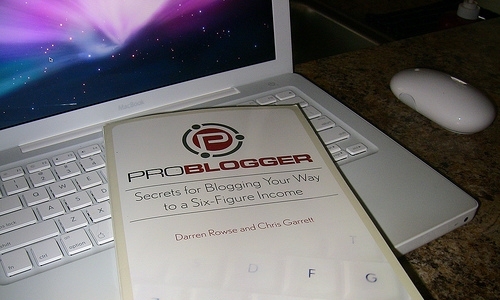 Problogger is owned by Darren Rowse, and it’s one of the most popular blogs about blogging. The Problogger job board is a first stop for most bloggers who are looking for paid blogging jobs, so it’s a great place to publish your company blogger job posting. MediaBistro offers an online community for writers as well as a job board. This is one of the more expensive places to publish a company blogger job, but the quality of applicants is likely to be higher than many writing sites or freelancer sites (discussed in the next section). BloggingPro is owned by Splashpress Media. Free and paid job postings are currently available. About.com Blogging offers an online forum that includes a folder dedicated to writing jobs for bloggers. You can register to join the forum for free and publish your company blogger position to the forum. Jobs are also included in a weekly listing of blogger jobs curated from most of the sites included in this article. That list is promoted on the About.com Blogging blog and in a weekly newsletter to subscribers. JournalismJobs.com is a website for journalists, which includes a job board. It currently costs $75 to publish a job posting for five weeks. Freelancing is a popular career choice, and many freelance writers and bloggers search for jobs on websites dedicated to freelancers. Service fees can differ significantly from one site to another. Always check the pricing and payment process for a freelancer site before you submit a job posting, so you’re aware of all fees required throughout the process. Elance is a very popular site for freelancers looking for work. When you publish a job posting, freelancers respond with bids. You select the freelancer you want to work with and agree upon the pay. Once the freelancer is paid, Elance takes a percentage. Freelancer works similarly to Elance. As an added step, you are expected to pay a portion of the agreed upon quote when the first milestone of the project is completed. Odesk is another site that works similarly to Elance, but freelancers are expected to track their work using a special tool which verifies their reported time. iFreelance is another freelancer site that allows you to post a blogger job, solicit bids, and select a freelancer to work with from those bids. There are no fees to use iFreelance. Guru is free like iFreelance and offers another place where you can publish a blogger job posting and get responses from bloggers who are looking for work. FreelanceSwitch is a free job board owned by a group of freelancers whose goal is to connect freelancers, including bloggers, with employers. Small and large career sites offer places where you can publish a posting for your company blogger position. Both in-house and freelance/contract positions can be posted to these sites with significant price differences. Do your homework and confirm pricing structures first. Simply Hired is a popular job search site that is affordable for small and large companies. Jobs listed on Simply Hired are also syndicated through approximately 25,000 affiliate partner sites giving them more exposure. Indeed is one of the most popular online job sites, and you can publish a blogger job posting on the site in just 5 minutes. You pay only when a person clicks on your posting. If you have a bigger budget, then publishing your blogger job posting on Monster will give it significant exposure and bring in a lot of applications. 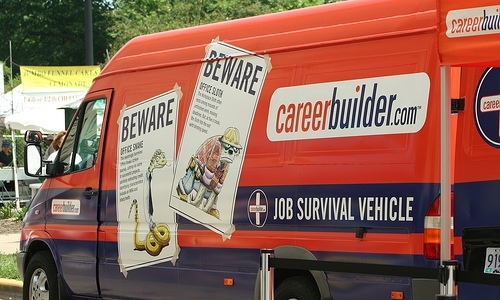 Along with Monster, CareerBuilder is one of the most popular career sites. If you have a bigger budget, then its huge audience makes it a great place to get your job posting seen by hundreds, if not thousands, of people. Every local Craigslist site has a Jobs section where employers can post open jobs. It’s free, and it’s a great way to target local candidates. LinkedIn is the most popular social networking site for professionals, so it’s a popular place for professionals to look for new job opportunities. You can pay to post a job on LinkedIn (fees vary by location) at anytime. It will appear in the searchable Jobs Directory, as an update in your personal news feed, and on your LinkedIn Company Page if you have one. There are more content companies popping up every day. Some of these companies offer great services from talented writers but others are nothing more than content mills that provide low-quality content. Review samples from content companies before you agree to work with one. Scripted.com is a popular content company that offers blog posts starting at $39 and tweets starting at $2. Read Generation is owned by Backbone Media. You can purchase blog posts in increments of 10, 20, or 30 articles at a time. Contently markets its services as providing magazine-quality writing by experienced journalists and bloggers. Have you ever hired bloggers for your company blog? Tell us about it in the comments below.